Hamper ft. novelty items, some chocolates and small items of clothing. 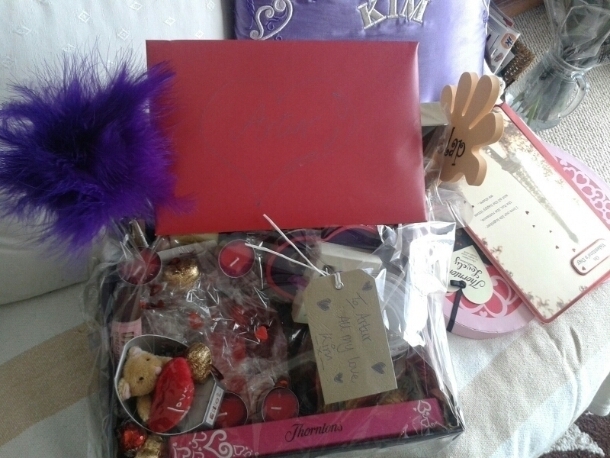 The hamper above was made for Valentine’s Day 2012 and it mostly consisted of novelty items, some chocolates and small items of clothing (socks, boxer shorts etc). As well as a “date night jar” (inspired by: Life in the greenhouse.com) and some love coupons. Hamper idea ft. Baked goods, men’s beauty products and Rosé wine. For the date night jar I used coloured card to write down date ideas and coloured coded them based on the type of activity and cost, i.e. “free indoors”, “free outdoors”, “inexpensive” and “expensive and/or requires planning”. I also thought of adding to the jar and doing some seasonal ones. 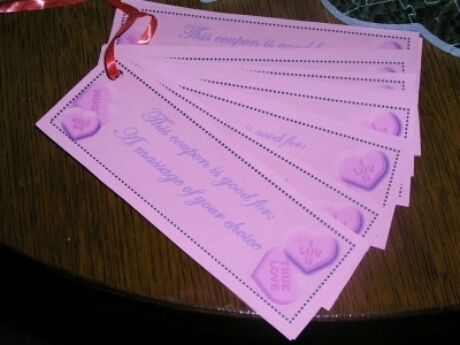 The love coupons pictured are the ones I made in 2010 but I also made these in a different style in 2012. The coupons contained date nights, massages, pampering etc. For the first year anniversary of my ex partner and I we both decided to make each other a paper themed gift. 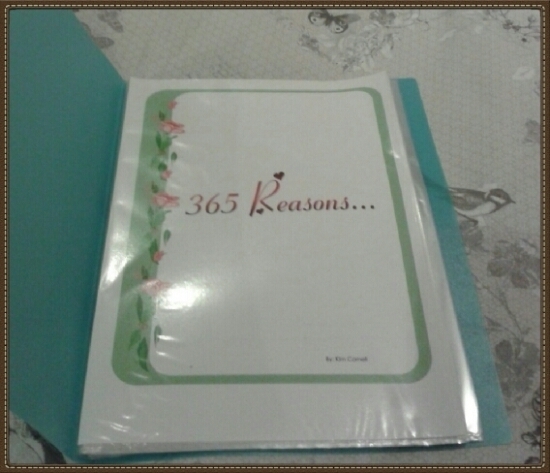 I created a “365 reasons why I love you” binder, the idea was one reason for each day we’d been together (this was in 2012). He really liked it and found it very thoughtful. 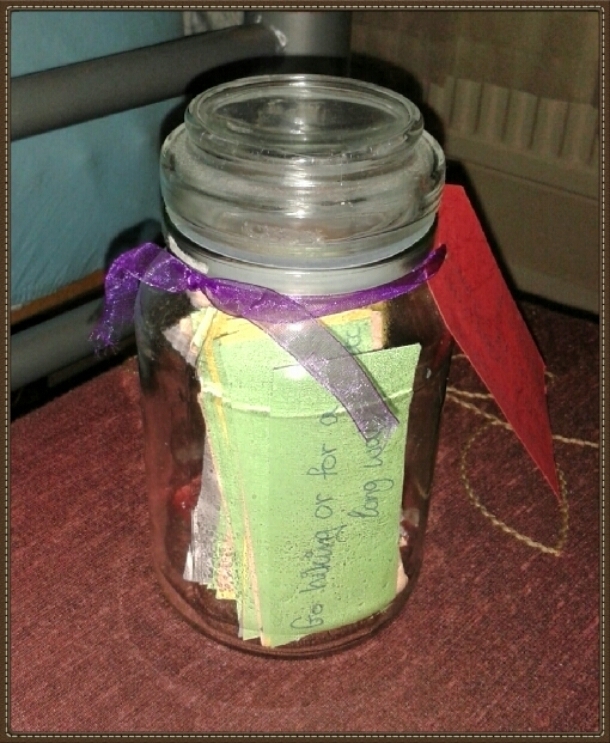 It was very simple to put together; you could also put the reasons in a jar (inspired by: Cutout and Keep ). I think home cooked meals or baked treats are a great idea. Who doesn’t love dinner cooked for them after a long day at work? 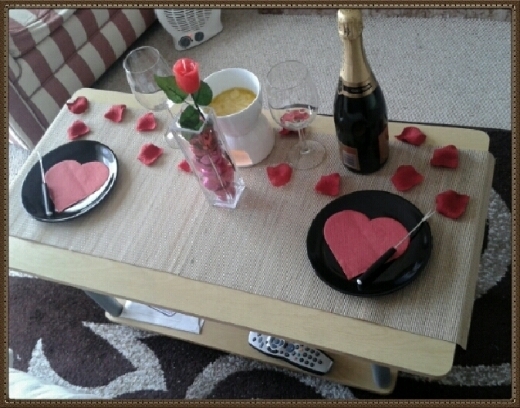 Run your partner and hot bath, light some candles and let them relax.